What is it about lavender that makes you happy? Just like being in Provence! 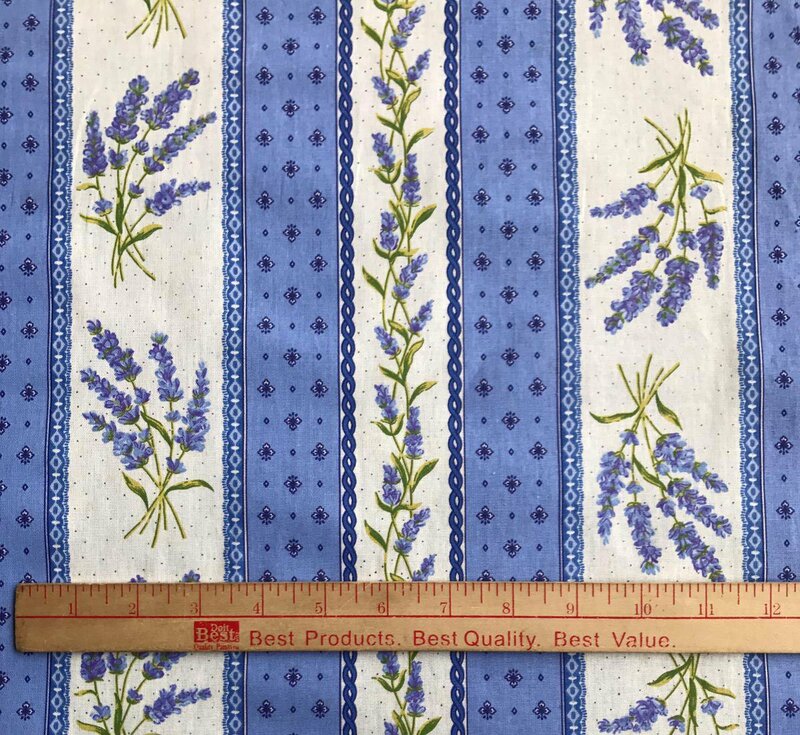 This lavender blue on off-white French cotton print has eight 3.25-inch bands of lavender bunches and seven 2-inch bands of lavender sprigs divided by a 1.5-inch band of foulard design. The fabric width is approximately 62''. This fabric would be perfect for home decor, girl's dresses, kitchen curtains and tablecloths, or quilting! The fabric coordinates with small print PR668. Priced per yard. Half yard minimum.